Don’t prescribe antipsychotic medications to patients for any indication without appropriate initial evaluation and appropriate ongoing monitoring. Metabolic, neuromuscular and cardiovascular side effects are common in patients receiving antipsychotic medications for any indication, so thorough initial evaluation to ensure that their use is clinically warranted, and ongoing monitoring to ensure that side effects are identified, are essential. “Appropriate initial evaluation” includes the following: (a) thorough assessment of possible underlying causes of target symptoms including general medical, psychiatric, environmental or psychosocial problems; (b) consideration of general medical conditions; and (c) assessment of family history of general medical conditions, especially of metabolic and cardiovascular disorders. “Appropriate ongoing monitoring” includes re-evaluation and documentation of dose, efficacy and adverse effects; and targeted assessment, including assessment of movement disorder or neurological symptoms; weight, waist circumference and/or BMI; blood pressure; heart rate; blood glucose level; and lipid profile at periodic intervals. Don’t routinely prescribe two or more antipsychotic medications concurrently. Don’t routinely use antipsychotics as first choice to treat behavioral and psychological symptoms of dementia. Don’t routinely prescribe antipsychotic medications as a first-line intervention for insomnia in adults. Don’t routinely prescribe an antipsychotic medication to treat behavioral and emotional symptoms of childhood mental disorders in the absence of approved or evidence supported indications. There are both on and off label clinical indications for antipsychotic use in children and adolescents. FDA approved and/or evidence supported indications for antipsychotic medications in children and adolescents include psychotic disorders, bipolar disorder, tic disorders, and severe irritability in children with autism spectrum disorders; there is increasing evidence that antipsychotic medication may be useful for some disruptive behavior disorders. Children and adolescents should be prescribed antipsychotic medications only after having had a careful diagnostic assessment with attention to comorbid medical conditions and a review of the patient’s prior treatments. Efforts should be made to combine both evidence-based pharmacological and psychosocial interventions and support. Limited availability of evidence based psychosocial interventions may make it difficult for every child to receive this ideal combination. Discussion of potential risks and benefits of medication treatment with the child and their guardian is critical. A short and long term treatment and monitoring plan to assess outcome, side effects, metabolic status and discontinuation, if appropriate, is also critical. The evidence base for use of atypical antipsychotics in preschool and younger children is limited and therefore further caution is warranted in prescribing in this population. The American Psychiatric Association (APA), founded in 1844, is the world’s largest psychiatric organization. It is a medical specialty society representing more than 33,000 psychiatric physicians from the United States and around the world. Its member physicians work together to ensure humane care and effective treatment for all persons with mental disorders, including intellectual disabilities and substance use disorders. APA is the voice and conscience of modern psychiatry. 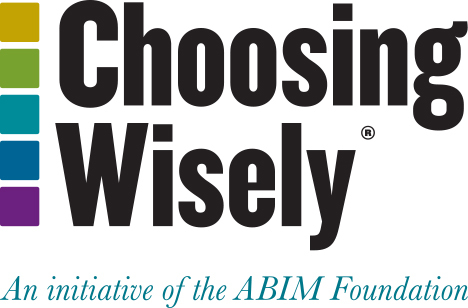 Participating in theChoosing Wisely® campaign furthers APA’s mission to promote the highest quality care for individuals with mental disorders (including intellectual disabilities and substance use disorders) and their families. For more information, visit www.psychiatry.org. The American Psychiatric Association (APA) created a work group of members from the Council on Research and Quality Care (CRQC) to identify, refine and ascertain the degree of consensus for five proposed items. Two rounds of surveys were used to arrive at the final list: the first round narrowed the list from more than 20 potential items by inquiring about the extent of overuse, the impact on patients’ health, the associated costs of care and the level of evidence for each treatment or procedure; and the second gauged membership support for the top five and asked for suggested revisions and comments. The surveys targeted the CRQC; the Council on Geriatric Psychiatry; the Council on Children, Adolescents, and Their Families; and the Assembly, which is the APA’s governing body consisting of representative psychiatrists from around the country. After the work group incorporated feedback from the two large surveys, the APA’s Board of Trustees Executive Committee reviewed and unanimously approved the final list. On April 22, 2015, APA revised item 3. Read more about these changes and rationale. For APA disclosure and conflict of interest policy please visit www.psychiatry.org. American Psychiatric Association. Practice guideline for the psychiatric evaluation of adults, second edition. Am J Psychiatry. 2006 Jun;163(Suppl):3–36. Available from: http://psychiatryonline.org/content.aspx?bookid=28&sectionid=2021669. American Diabetes Association; American Psychiatric Association; American Association of Clinical Endocrinologists; North American Association for the Study of Obesity. Consensus development conference on antipsychotic drugs and obesity and diabetes. Diabetes Care. 2004;27(2):596-601. Dixon L, Perkins D, Calmes C. Guideline watch (September 2009): practice guideline for the treatment of patients with schizophrenia [Internet]. Psychiatry Online. [cited 2013 Mar 8] Available from: http://psychiatryonline.org/content.aspx?bookid=28&sectionid=1682213. Maglione M, Ruelaz Maher A, Hu J, Wang Z, Shanman R, Shekelle PG, Roth B, Hilton L, Suttorp MJ, Ewing BA, Motala A, Perry T; Southern California Evidence-Based Practice Center. Off-label use of atypical antipsychotics: an update. Rockville, MD: Agency for Healthcare Research and Quality; 2011 Sep 437 p. Report No. : HHSA290-2007-10062-1. Nasrallah HA. Atypical antipsychotic-induced metabolic side effects: insights from receptor-binding profiles. Mol Psychiatry. 2008 Jan;13(1):27-35. American Psychiatric Association. Practice guideline for the treatment of patients with schizophrenia, second edition. Am J Psychiatry. 2004 Feb;161(2 Suppl):1-56. Available from: http://psychiatryonline.org/content.aspx?bookid=28&sectionid=1682213. Kane J, Honigfeld G, Singer J, Meltzer H. Clozapine for the treatment-resistant schizophrenic. A double-blind comparison with chlorpromazine. Arch Gen Psychiatry. 1988;45(9):789-96. McEvoy JP, Lieberman JA, Stroup TS, Davis SM, Meltzer HY, Rosenheck RA, Swartz MS, Perkins DO, Keefe RS, Davis CE, Severe J, Hsiao JK, CATIE Investigators. Effectiveness of clozapine versus olanzapine, quetiapine, and risperidone in patients with chronic schizophrenia who did not respond to prior atypical antipsychotic treatment. Am J Psychiatry. 2006;163(4):600-10. Specifications Manual for Joint Commission National Quality Measures (v2013A1). Measure Set: Hospital Based Inpatient Psychiatric Services (HBIPS), Set Measure ID: HBIPS-4. Stahl SM, Grady MM. A critical review of atypical antipsychotic utilization: comparing monotherapy with polypharmacy and augmentation. Curr Med Chem. 2004; 11(3):313-27. American Psychiatric Association: Practice guideline for the treatment of patients with Alzheimer’s disease and other dementias, second edition. Am J Psychiatry. 2007 Dec; 164(Dec suppl):5–56. Available from: http://psychiatryonline.org/content.aspx?bookid=28&sectionid=1679489. Ballard CG, Waite J, Birks J. Atypical antipsychotics for aggression and psychosis in Alzheimer’s disease. Cochrane Database Syst Rev. 2006 Jan 25;(1):CD003476. Gitlin LN, Kales HC, Lyketsos CG. Nonpharmacologic management of behavioral symptoms in dementia. JAMA. 2012 Nov 21; 308(19):2020-9. Richter T, Meyer G, Möhler R, Köpke S. Psychosocial interventions for reducing antipsychotic medication in care home residents. Cochrane Database Syst Rev. 2012 Dec 12;12:CD008634. Schneider LS, Tariot PN, Dagerman KS, Davis SM, Hsiao JK, Ismail MS, Lebowitz BD, Lyketsos CG, Ryan JM, Stroup TS, Sultzer DL, Weintraub D, Lieberman JA; CATIE-AD Study Group. Effectiveness of atypical antipsychotic drugs in patients with Alzheimer’s disease. N Engl J Med. 2006;355(15):1525-38. Correll CU. Monitoring and management of antipsychotic-related metabolic and endocrine adverse events in pediatric patients. Int Rev Psychiatry. 2008; 20(2):195-201. Findling RL, Drury SS, Jensen PS, Rapoport JL; AACAP Committee on Quality Issues. Practice parameter for the use of atypical antipsychotic medications in children and adolescents [Internet]. American Academy of Child and Adolescent Psychiatry. [cited 2013 Mar 3]. Available from: http://www.aacap.org/galleries/PracticeParameters/Atypical_Antipsychotic_Medications_Web.pdf. Loy JH, Merry SN, Hetrick SE, Stasiak K. Atypical antipsychotics for disruptive behaviour disorders in children and youths. Cochrane Database Syst Rev. 2012 Sep 12;9:CD008559. Zito JM, Burcu M, Ibe A, Safer DJ, Magder, LS: Antipsychotic use by Medicaid-insured youths: impact of eligibility and psychiatric diagnosis across a decade. Psychiatric Serv 2013; 64(3):223-229. Comer JS, Chow C, Chan PT, Cooper-Vince C, Wilson, LA: Psychosocial treatment efficacy for disruptive behavior problems in very young children: a meta-analytic examination. J Am Acad Child Adolesc Psychiatry 2013; 52(1):26–36. McClellan J, Stock S, American Academy of Child and Adolescent Psychiatry (AACAP) Committee on Quality Issues (CQI): Practice parameter for the assessment and treatment of children and adolescents with schizophrenia. J Am Acad Child Adolesc Psychiatry 2013; 52(9):976-990.